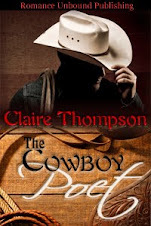 Keep up with Claire Thompson's latest releases, reviews, contests and more! To read the full review by British Bull Dog - Click Here! Both Nolan and Mark have been given compelling, believable if unfulfilled pasts. Nolan had to work his way through life…Outwardly Mark has a much more cushy existence, but we’re allowed to look closer to see the boredom, the family pressure keeping him in a job he hates. In short we can sympathize with both men. …It’s how the author had her characters recover from [a sticky] situation that is where the true metal of this storyteller is revealed. Angst, despair and ultimate joy of forgiveness are all wonderfully explored. I really like how each man gives the gift of a future to the other. Before Mark, Nolan went through life never falling in love, never seeing the need. Before Nolan, Mark didn’t have a reason to stand up to his family. But these things weren’t imposed on the plot, they slowly grew organically from it. Yes, at times I wanted to shout at the guys to tell them they were messing up, but they couldn’t change their long-observed behavior overnight. …Well done Ms. Thompson, you’ve written another winner. Woohoo! Congrats on the wonderful reviews! Well deserved! Stop by and write a review! Stop by and post a review! stop by Amazon.com and post a review! 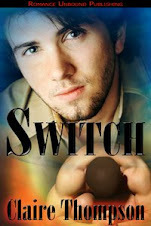 Please stop by and post a reader review! 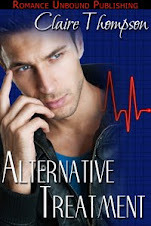 I've Been Interviewed at The Romance Studio! Manlove - Why Do Women Love to Watch? Check out the Rainbow Studio Blog! 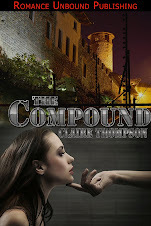 Check out Claire's Newest Releases! Please post your reader review on Amazon!!! FIRST CONTEST TO WELCOME YOU TO MY BLOG!